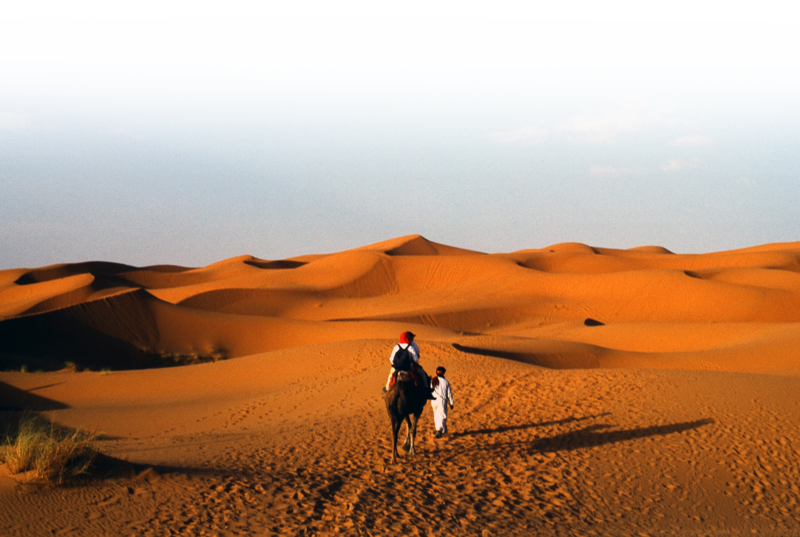 But some traditions are still very much alive and, if you want to enjoy an enchanted evening at a Bedouin camp, the best way to do so is to hop aboard a guided, AutoVenture four-wheeler and launch up and over the dunes. After an exciting, riotous ride over humps and bumps, you arrive at the Bedouin camp — a manmade oasis of color, with goat-hair tents, comfortable cushions, an underground oven, tasty dishes, a bar and entertainment around the campfire. Bring your camera because before nightfall, the desert sunset washes the dunes in a hot palate of vibrant hues. There also are free camel rides and ATVs for rent for those who didn’t get enough rollicking over the dunes. Other activities inside the camp include sand art for sale, henna tattoos, belly dancing and even a falcon show. A starlit evening in the desert is the perfect capper to an exotic vacation in. For those unfamiliar with Dubai, an AutoVenture guided tour is the surest way to get closer to the culture and capture an unforgettable land. At 160 stories, the Burj Khalifa is the tallest building in the world, towering at 2,716.5 feet. Only the finest, the police in Dubai drive Ferraris, Lamborghinis, and Aston Martins while on the job.